He did not just say that Dennis Smith Jr. is good (he is good as hell, and left this game with 21 points, seven assists, and five rebounds). Without any prompting, James oddly chose to frame his compliments for DSJ in terms of the Knicks’ failure to draft him—which is to say that DSJ is better than the kid the Knicks selected one pick up, the squiddish Frank Ntilikina. As someone who has unexpectedly become a drooling LeBron stan in the last three years, who acknowledges that this man may understand more about the sport than any human dead or alive, and who does not like to pick fights with well-built cyborgs, let me say: LeBron James retire bi—good sir. —or how he’s had a dubious history as an armchair scout. 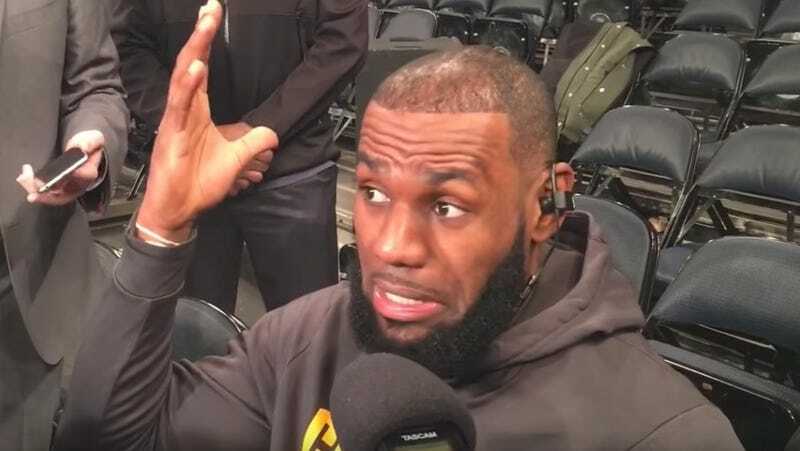 But what LeBron said out loud is surely being prosecuted constantly in the heads of Knicks fans everywhere, which may explains why the response was so knee-jerk and impassioned. What are drafts for if not to send up generational clouds of regret? This is something Knicks fans must have steeled themselves for before the season, especially as DSJ lit up the preseason. 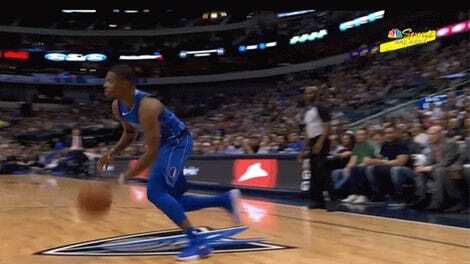 Yes, DSJ was going to burst off the screen immediately. Yes, Frank would get dismissed as some kind of Phil-tainted, Triangle-specific pick. One would be fast and bouncy and the other would be slow and cautious. What I feel, both in June and now, is that Frank is still the solution to our particular woes. After Starbury, Francis, Curry, Amar’e, Air Bargs, Melo, Derrick Rose, and all the feckless and lopsided rest, it’s such a relief to be building off two players who might one day combine to defend the perimeter and the rim as well as any other duo in the league (a premature projection for Frank, and already true for Kristaps). The Knicks still do dumb things, and this morning was a perfect reminder: they were forced to clear out a decent player to make room for an waterlogged corpse, because they don’t feel comfortable using Ron Baker as a third-string point guard even after throwing $9 million and a player option at him. But, amid all that, I am happy Frank is here, weeping with gratitude for Kristaps, and confident that LeBron James is just a surly, bored dude overseeing the worst defense in the NBA. See you in a few hours!!! !